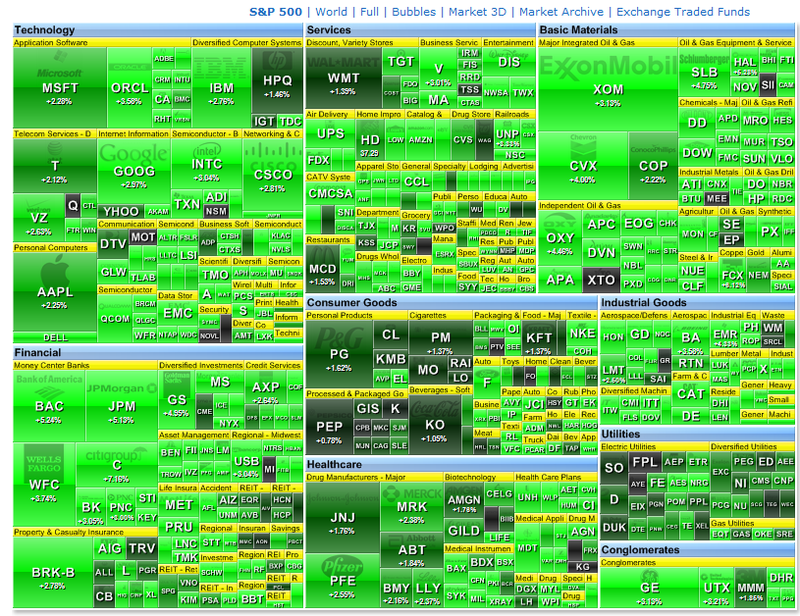 I just ran a screen on finviz.com and EVERY S&P 500 stock is green. I have never seen that before. Maybe it has happened on other days, but I certainly never have caught it. Simple amazing. 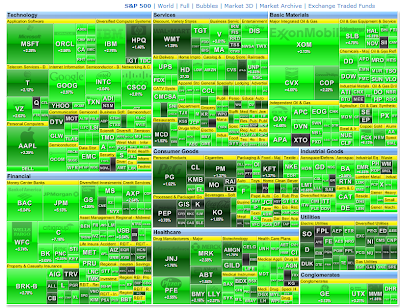 Here is another way of looking at it, in a heat map. This market has jumped the shark in terms of being A.D.D. and bipolar. Buy everything or sell everything - no in between.